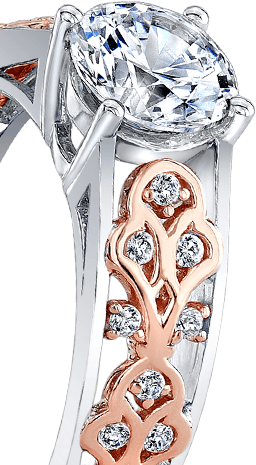 beautiful ring setting in the precious metal of your choice. A classic, timeless choice, made up of a single stone and a plain setting, simple and elegant in appearance. Small diamonds lace the band, giving the appearance of a luminous, solid diamond surface. Side diamonds are carefully embedded without prongs into the channel groove of this sturdy setting. Side diamonds bring out the brilliance of the center diamond, creating a true 'statement piece'. 2 side diamonds accentuate the size and brilliance of the center stone, creating a stunning wow effect. The diamond is held in place by the physical force of this bold setting, perfect for the modern woman. Many tiny diamonds surround the center stone, giving extra sparkle to these stunning rings. Ideal for the true romantic, these antique-style rings bring back memories of days gone by. Beauty that can only be designed by an artist. ring fitting of this special milestone moment. Verragio never settles for the average and loves creating rare, cutting-edge unique rings. Danhov prides itself in creating unique, handmade and eco-friendly designer rings. Jeff Cooper draws inspiration from daily life and consistently designs classic, elegant and simple rings. Rings by third generation designer Martin Flyer, an expert in the industry, are the essence of quality. All of our 200,000+ diamonds are certified by one of the top 3 grading laboratories: GIA, AGS and IGI. But don't rely on the certificate alone; seeing a loose diamond in 40x superzoom lets you really get to know your diamond with your own eyes. Need help getting started? 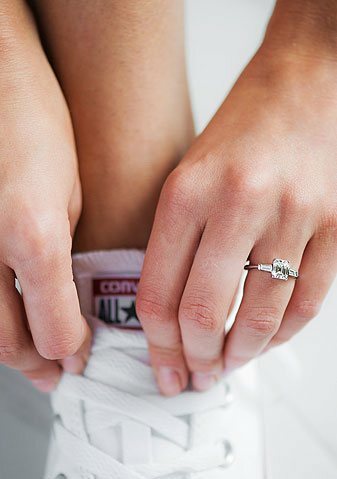 Get inspired by customers' recently purchased engagement rings. View our genuine customer engagement moments from around the world. 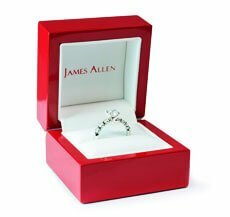 for proposal inspiration or share your own James Allen engagement moment!